We all know how important it is to rid our bodies of toxins. Clean eating and clean living make you glow with positive energy. But it’s just as important to detoxify your environment and freshen up the air you breathe every day. To detox your home doesn’t just mean clearing out the chemicals, it’s also about creating a space where good vibes can thrive. Our homes are full of toxins, and even if you live green and keep a squeaky-clean house, allergens, and irritants from cleaners, paints, pesticides, and other chemical products can linger in the air long after they’re gone. Here’s a guide to making sure the air you breathe is as pure and healthy as it can be. The easiest way to keep your house clean is to keep dirt from getting inside in the first place. Your shoes walk through an unbelievable amount of grime every day, and they also bring in pollen, mud, and germs. In winter, you can add toxic ice melts to the mix. Keep this nasty brew out of your house by taking your shoes off at the door, and ask your guests to do the same. Wear socks or slippers indoors and you’ll keep your furniture and rugs clean too. Almost any type of green plant will help detoxify your home by filtering out chemicals and releasing pure detoxified air, these are some of the best choices and are also easy to grow. Flowers play a role, too. They’ll fill the room with a natural fragrance that has no chemical residue. Studies have found that seeing flowers first thing in the morning puts you in a good mood all day, so go ahead and indulge yourself with some bright bouquets. Mold grows when water leaks into the house and gets trapped. Mold can cause flu-like symptoms including rashes, sore throats and nasal problems like sniffing and sneezing. To stop mold from growing, eliminate leaks in your home and make sure it’s properly sealed at the doors and windows. Open the windows in your bathroom for a short time after taking a shower or bath, to help the walls dry and prevent mold from taking hold. Open the windows every day to get a breath of sunshine and fresh air. It will lift your spirits and help circulate the air. Let nature lend a hand in lifting away toxins and allergens. Be careful not to leave windows open for a long time if you have allergies. You don’t want to fill up the house with pollen or ragweed. For a simple, natural air freshener, forget scented sprays or wax candles. Instead, slice a lemon and set the slices out on bowls around the house. They’ll absorb odors and leave behind a beautiful fresh scent. As a bonus, the bright color of lemons is an instant mood lifter. Carpets are a major source of volatile organic compounds (VOC), which have been linked to several cancers. Wall-to-wall carpeting is the worst because the glue used to install it is packed with toxins and VOCs. To detoxify your home, get rid of carpets and choose flooring that’s sustainable and free of toxins, like hardwood or bamboo. 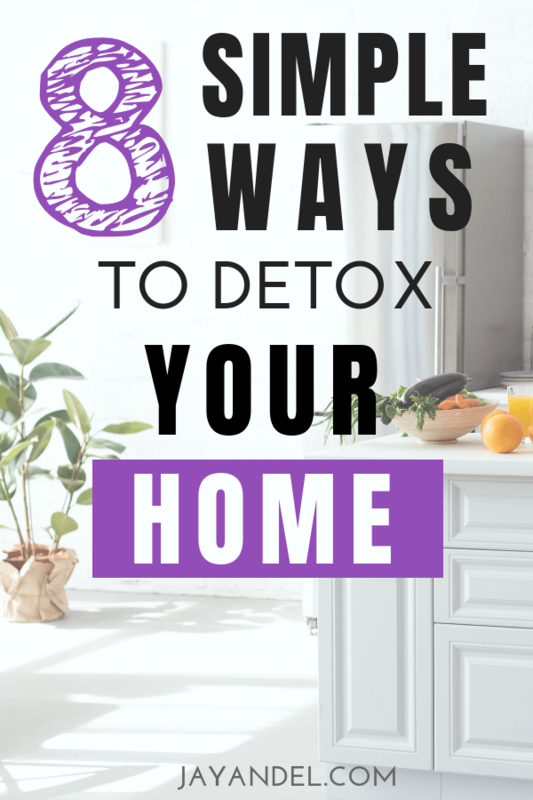 Stick to area rugs that you can wash.
Detoxing your home should be part of your routine, just like watching what you eat and what chemicals you allow into your daily life. With these tips, you’ll enjoy a fresh, clean home where you can breathe easy every day. Follow us on PINTEREST for more Healthy Home Ideas & Tips!